If you're new to Nashville, or just new to Lightning 100's Team Lightning, join us for our monthly social gathering where you can meet other Nashvillians who love experiencing unique adventures in the city! Join Team Lightning as we flex our creative muscles in this one-of-a-kind DIY crafting workshop. 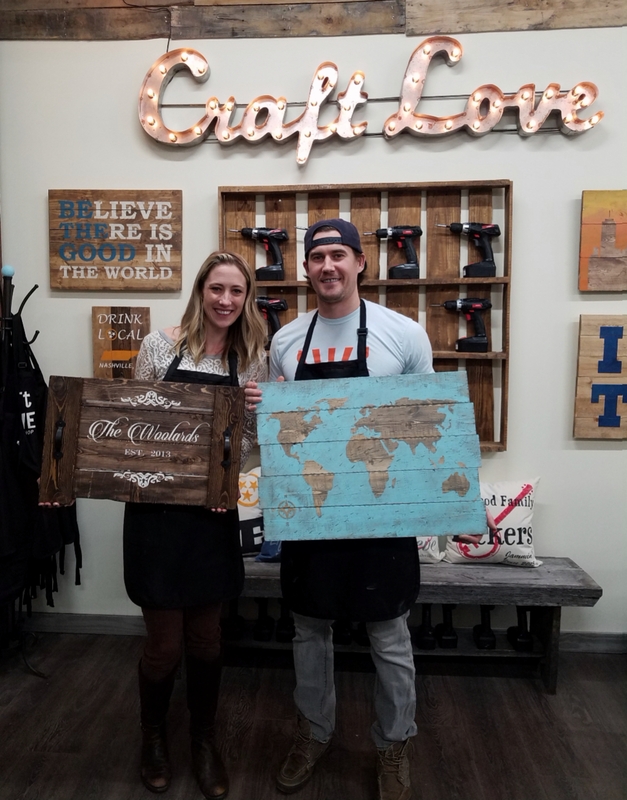 Craft Love flips the "sips and strokes" model on it's head, instead opting for practical DIY woodworking projects that you'll be proud to show off in your home! In this exclusive Team Lightning crafting night, you'll have the option to get a $30 discount when you choose either a $65 or $85 project from the Craft Love website. Then you'll have expert crafters by your side walking you through each step of the project, from construction to painting and finishing touches. You don't have to be a Picasso for this power-tool infused night of creativity and fun! Projects include bottle openers, a variety of signs, maps, utensil holders, book shelves, vinyl record bins, breakfast trays, drink carriers, and so much more! Cost: Choose either an $85 or $65 project and receive a $30 DISCOUNT when you use the coupon code "LOVELIGHTNING"
Registration: Registration and payment up front are required. Lock in your discount now by registering here! Difficulty: This is a fun social gathering, no experience required! Group Size: This event is limited to 20 participants. Parking: Parking is available at the store location. Children Policy: Children 18 and under require parental supervision for this event. Dog Policy: Dogs are not permitted at this venue. Weather Policy: This is an indoor event--we'll meet rain or shine. Recently opened in West Nashville, Craft Love is all about creativity and fun! 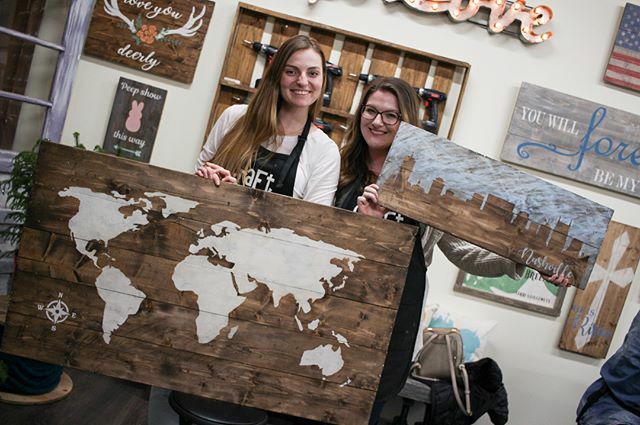 What started as an idea during Thanksgiving gathering to turn "paint and sip" on its head, their first DIY wood sign workshop became a reality in March 2016. Since then, Craft Love has grown to four workshops across two states! At Craft Love DIY Workshop, the aim each night is for everyone to leave happy, proud of the project they created, and confident to apply the skills learned in class to small DIY projects around their homes. Along with providing a fun evening of socializing and crafting, Craft Love hopes to teach you about materials and tools you work with in class.